The driving test lasts around 40 minutes you are allowed 15 driving faults but no serious faults in this time. If you were to get more than 3 faults in the same box during this time then the driving examiner can then mark that down as a serous fault which would result in failure in the driving test. Before you sit your driving test it is a great idea to have done a mock test with your driving instructor during your driving lessons. In my experience I feel this usually prepares you really well for how the driving test will be conducted and should build confidence and draw attention to whatever you may need to work on. You will probably be surprised at how short in length a driving test actually is. Once you have completed your pretend test it would be very beneficial to have a full in depth discussion about how you did , this usually solves a lot faults, and highlights what you and your instructor feel you need to do to get rid of any reoccurring faults. Make sure you ask lots of questions the more in depth your understanding the more confident you will be on the day of your driving test. Having confidence and understanding for the day will limit test day nerves and help deliver an outstanding drive which you will be proud of. 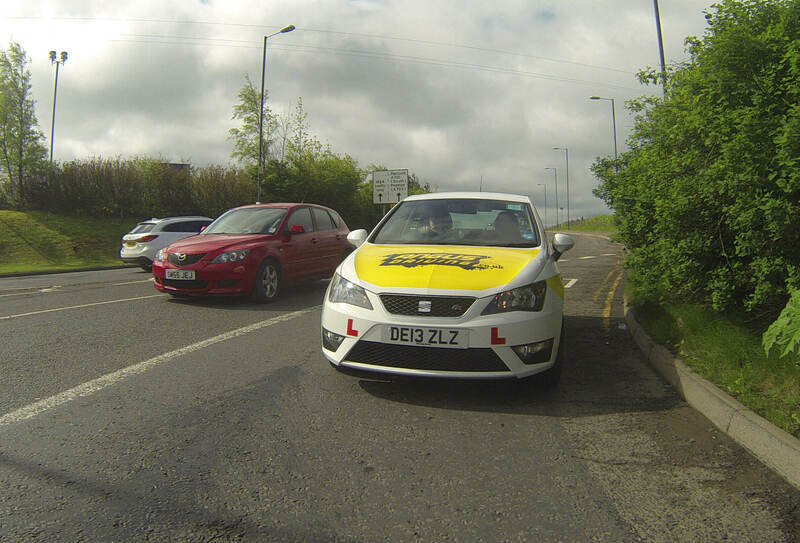 Remember you are just demonstrating to the examiner that you are safe and are ready to drive unaccompanied on the road. The examiner may speak to you a little as you drive round your route to try and make you feel at ease, don’t be worried if the examiner is quiet though, just like people in day to day life some people speak less than others, also even if you do the full test route and manage to not pick up any driving faults the examiner will mark on their sheet from start to finish so try to ignore them and not assume the worst. Good luck.